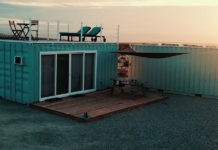 Most of us are well aware of how expensive it can be to buy or build build a house or cabin, which is just one of the reasons that tiny houses are an attractive alternative to larger dwellings. 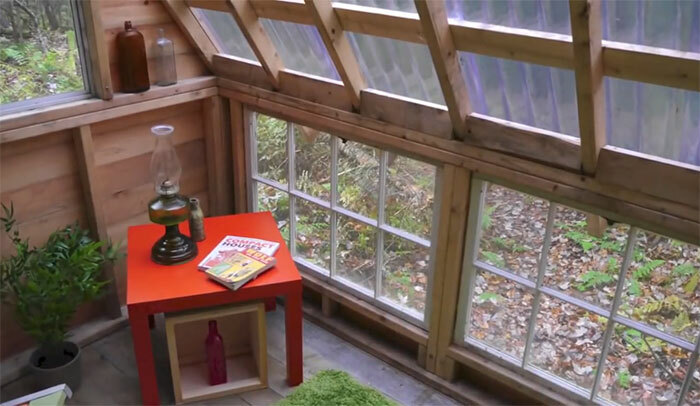 But even tiny cabins can get pretty expensive, especially if furnished nicely. 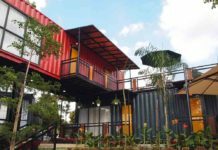 Every so often we come across people who are coming up with ingenious solutions to build their homes for dirt cheap. Here is one such example. 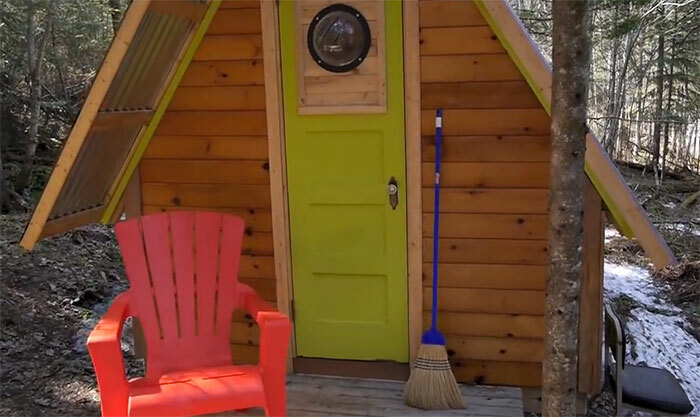 Derek Diedricksen from relaxshacks.com built this adorable little cabin for $300 using mostly recycled and found materials. 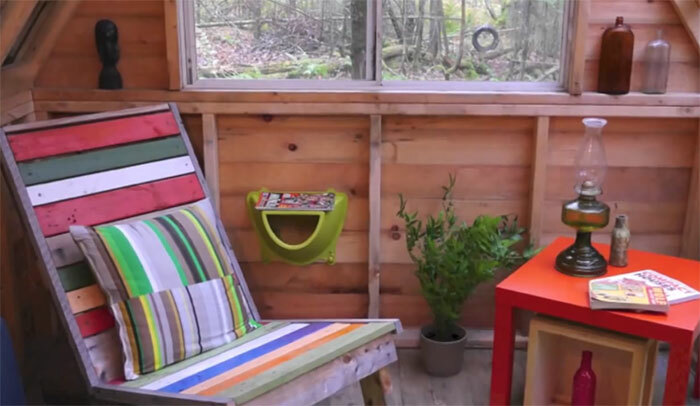 The cabin is small – only 8′ x 8′ – so not ideal for everyday living for most people, but it definitely makes for a beautiful little getaway spot in the woods. 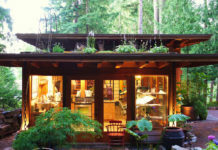 The front deck of the cabin is also 8′ x 8′ and is a piece of cedar fencing that was found in the trash at a lumber yard. The front door is a brightly painted old closet door with a little dome viewing window added in. 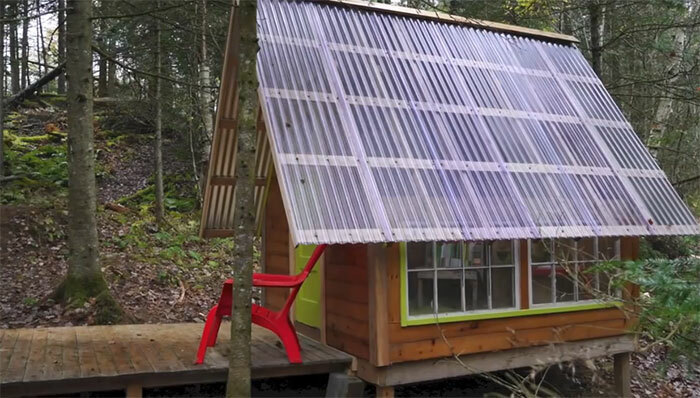 The roof of the cabin is metal on one side and clear polycarbonate on the other. 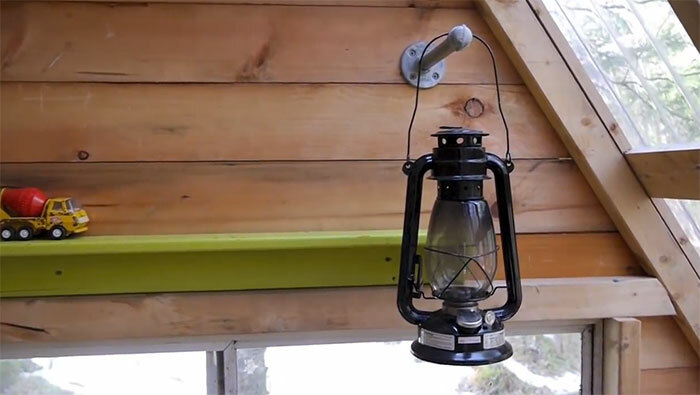 The polycarbonate allows for plenty of natural light to make its way into the cabin during the day, and since the cabin sits under a canopy of trees, it does not get too hot. Almost everything in the interior of the cabin was found very inexpensively at yard sales, and the awesomely colorful chair was made out of recycled barn wood. The windows used in the cabin were found on the side of the road. With a little retouching, they make a nice (free!) addition, covering nearly one whole wall, giving the cabin and open and spacious feel. A few other random, creative objects add some artistic appeal to the place. This is a great example of how beautifully something can be furnished for dirt cheap. 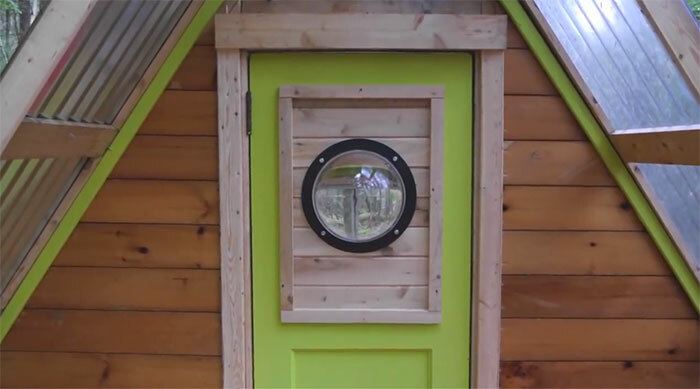 This would be an amazingly fun little cabin to use for quick weekend getaways and for camping out, but if you don’t have land in the woods on which to build something like this, it would also make an ideal garden shed, chicken coop, playhouse for kids, or just a backyard retreat. And for $300, it’s an inspirational and affordable option for just about anyone. Next articleFlorida Lawn Vegetable Growers Fight The Law And Win!